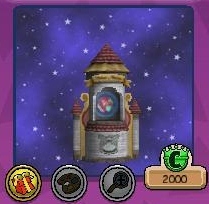 One mini game of their choice from the crowns shop! If you wish to be entered, just follow my blog and then comment on this post telling me which mini game is your favorite. The winner will be randomly chosen on Friday at 12pm EST. Thanks for reading and following. Good luck to everyone who decides to enter! I find the potion motion game to be a fast easy way to fill my potions. I love that one the best. I think I like dueling Diego it's fun to play!